This is not the official Human Resources letter but a sample written by a coworker and friend. They two letters serve different purposes and are written for different reasons to produce different outcomes. In the instance of a death in an employee's family, as an organization, you want to send both types of condolence letters. The official HR letter offers the employee sympathy and support. The letter might even mention the benefits and assistance that the colleague may call on in this painful situation. The notes from coworkers and friends are dear to the employee. While neither mends the grief, they offer heartfelt support and care. A family death is a significant event in a coworker’s life. The closer the coworker’s relationship with the family member, the tougher it is for them to mourn their loss and recover to a functioning level at work. In the case of a parent, a child, or a brother or sister, in addition to the sorrow that will permeate an employee's life for a period of time, the employee may have ongoing concerns and responsibilities that came to him or her with the death. 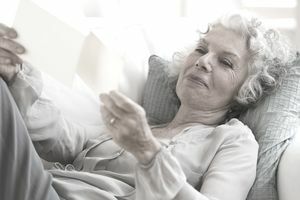 Responsibilities can include making funeral arrangements, notifying family members and friends of the death and funeral or memorial arrangements, guardianship of minor children, selling a family home, dealing with the deceased’s possessions, dealing with legal issues related to the deceased’s will, taxes, and so forth. A family death is a daunting experience on top of the employee's existing sorrow. Death is never easy and it can add a significant layer of responsibility to a coworker’s already full plate. It's an employer's responsibility to assist the employee to invest the time and energy needed to traverse these unknown territories. Leaves of absence, paid time off, and vacation time are all options you can offer the employee. In an earlier article, recommendations were made about how to deal with grief and bereavement as an employer or coworker, eleven tips for dealing with workplace tragedies, and how to write a sympathy letter. The sympathy letter sample was the official Human Resources response to an employee's mother's death. Here is a sample condolence letter for when a coworker loses a brother or sister. You are a coworker who wants to express sympathy and offer to help, so this letter is not the official condolence letter that Human Resources staff would send. You may use this sample letter as a model when you write your own to a valued colleague and friend. Download the sample condolence letter template (compatible with Google Docs and Word Online) or see below for more examples. I was so sorry to hear about the death of your sister. I know how close you were to her, not just as sisters, but also as best friends. I am so sad for your loss. While nothing that I can say will make you feel better at this time, I would like you to know that I am here for you and available if you need me. A family death brings a lot of new responsibilities and I can help. I’ll be happy to babysit for your kids if your regular caregiver is unavailable. I’m also happy to make phone calls to friends and family or help you make arrangements. I plan to bring over several casseroles that may help tide your family through the funeral and all of the following activities so you don’t have to worry about cooking. I’ve spoken with Jessica and Sarah and they are also planning to bring food over. All of us are just looking for a word from you so that we can help you through this tough time. If you’re just looking for a shoulder to cry on, we are also available. Is there anything that you have hanging over your head at work that we can help you out on? We’ll be happy to pitch in here, too. Just let us know what you need. Again, my deepest sympathy to you and your family during this sorrowful time. Please let me know how I can help. You will want to write a similar letter to comfort a coworker during a time of grief. You want to express your condolences, offer the assistance that you can, and help your coworker feel that they are not alone in their sorrow.